An Ancient Fruit for Modern Day Use. Pomegranate contains important polyphenols (plant chemicals) that help promote antioxidant health and help fight cell damaging free radicals. This Pomegranate Extract is standardized 40% for ellagic acid, so you receive all of the goodness the pomegranate is famous for! 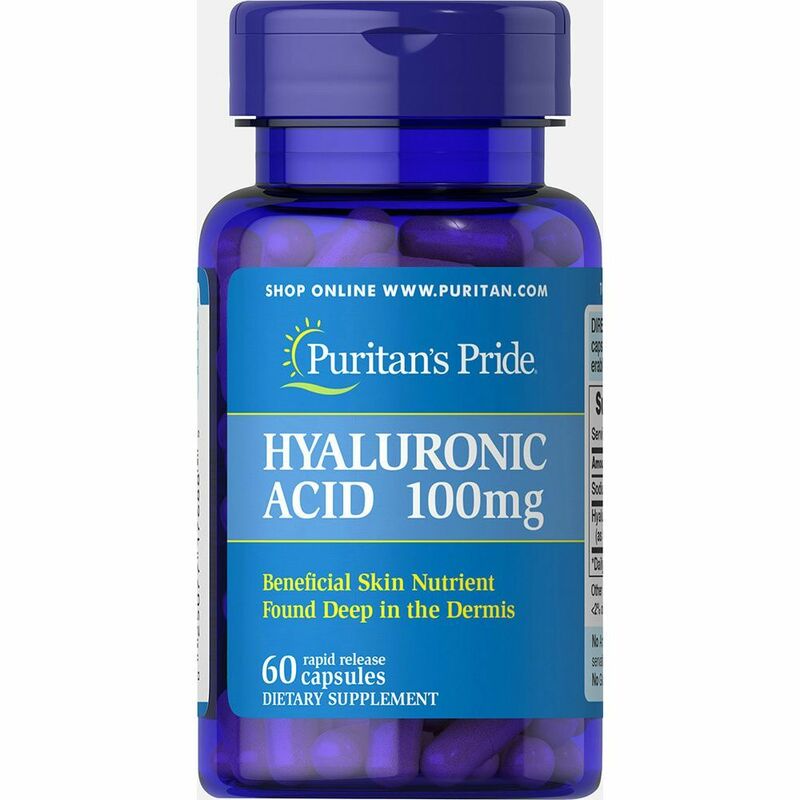 Use as part of your healthy aging program. People use pomegranate for conditions such as chronic obstructive lung disease (COPD), heart conditions, high blood pressure, and recovery after exercise, but there is no good scientific evidence to support these uses. Pomegranate has been used for thousands of years. It is in Greek, Hebrew, Buddhist, Islamic, and Christian mythology and writings. It is described in records dating from around 1500 BC as a treatment for tapeworm and other parasites. Many cultures use pomegranate as a folk medicine. Pomegranate is native to Iran. It is primarily cultivated in Mediterranean counties, parts of the United States, Afghanistan, Russia, India, China, and Japan. You'll see pomegranate in some royal and medical coats of arms. High blood pressure: Some research shows that drinking pomegranate juice daily can lower systolic blood pressure (the top number) by about 5 mmHg. Lower doses might work the same as higher doses. Pomegranate juice doesn’t seem to reduce diastolic pressure (the lower number). Diabetes: Early research shows that drinking fresh pomegranate juice 1.5 mL/kg improves blood sugar in some people with diabetes. Muscle strength. Early research shows that taking pomegranate extract can improve muscle strength recovery after exercise. Muscle soreness after exercising: Early research shows that drinking pomegranate juice twice daily for 15 days reduces muscle soreness after exercising in the elbow but not the knee. Dialysis: Research on pomegranate in people on dialysis is inconsistent. Some early research shows that drinking pomegranate juice for a year decreases the number of high blood pressure medications that people on dialysis need to take. Pomegranate juice might also improve "good" (HDL) cholesterol and triglycerides and reduce the chance of going to the hospital for an infection in some people on dialysis. Metabolic syndrome: Early research shows that drinking pomegranate juice daily for one month improves blood vessel function in adolescents with metabolic syndrome. Obesity: Early research shows that taking a product containing pomegranate seed oil and brown marine algae reduces body weight in obese women with liver disease. Other research shows that drinking pomegranate juice for one month helps overweight and obese patients maintain weight. Prostate cancer: Early research shows that drinking pomegranate juice or taking pomegranate extract for up to 2 years might slow the progression of prostate cancer. Other early research shows that taking a combination of pomegranate powder and other ingredients for 6 months can slows the rising of prostate-specific antigen (PSA) levels in men with prostate cancer. PSA levels are linked with prostate cancer growth, with faster increases indicating more growth. Rheumatoid arthritis: Early research shows that taking pomegranate extract twice daily for 12 weeks can improve symptoms of rheumatoid arthritis. Inflamed and sore mouth (stomatitis): Applying a gel containing pomegranate extract to the gums improves symptoms in people with fungal infections in the mouth. Vaginal parasite infections (trichomoniasis): Early research shows that taking pomegranate extract might clear up trichomoniasis infections in women. Pomegranate juice is LIKELY SAFE for most people when taken by mouth. Most people do not experience side effects. Some people can have allergic reactions to pomegranate fruit. 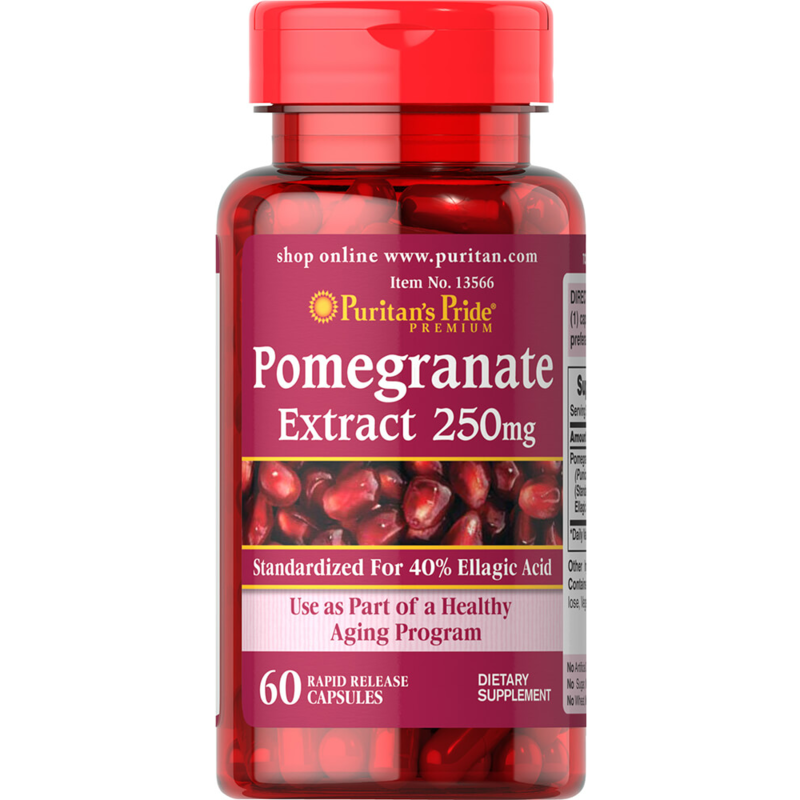 Pomegranate extract is POSSIBLY SAFE when taken by mouth or applied to the skin. Some people have experienced sensitivity to pomegranate extract. Symptoms of sensitivity include itching, swelling, runny nose, and difficulty breathing. Pomegranate is POSSIBLY UNSAFE when the root, stem, or peel are taken by mouth in large amounts. The root, stem, and peel contain poisons. Pregnancy and breast-feeding: Pomegranate juice is POSSIBLY SAFE for pregnant and breast-feeding women. However there is not enough reliable information about the safety of using other forms of pomegranate, such as pomegranate extract. If you use pomegranate, stick with the juice during pregnancy or breast-feeding. Check with your healthcare provider first. Low blood pressure: Drinking pomegranate juice can slightly lower blood pressure. Drinking pomegranate juice might increase the risk of blood pressure dropping too low in people who already have low blood pressure. Surgery: Pomegranate might affect blood pressure. This might interfere with blood pressure control during and after surgery. Stop taking pomegranate at least 2 weeks before a scheduled surgery. Some medications are changed and broken down by the liver. Pomegranate might decrease how quickly the liver breaks down some medications. Taking pomegranate along with some medications that are changed by the liver can increase the effects and side effects of your medication. Before taking pomegranate talk to your healthcare provider if you take any medications that are changed by the liver. Some medications that are changed by the liver include amitriptyline (Elavil), codeine, desipramine (Norpramin), flecainide (Tambocor), fluoxetine (Prozac), ondansetron (Zofran), tramadol (Ultram), and others. Pomegranate juice seems to decrease blood pressure. Taking pomegranate juice along with medications for high blood pressure might cause your blood pressure to be too low. Pomegranate seems to decrease blood pressure. Taking pomegranate along with medications for high blood pressure might cause your blood pressure to go too low. Rosuvastatin (Crestor) is broken down by the body in the liver. Drinking pomegranate juice might decrease how quickly the liver breaks down rosuvastatin (Crestor). This might increase the effects and side effects of rosuvastatin (Crestor). There has been some concern that drinking pomegranate juice might decrease how quickly the liver breaks down some medications. However, scientific research shows that drinking pomegranate juice probably does not cause an important interaction with medications. Until more is known, talk to your healthcare provider if you are taking any medications that are changed by the liver. Some medications changed by the liver include amlodipine (Norvasc), diltiazem (Cardizem), verapamil (Verelan, Calan, others), indinavir (Crixivan), nelfinavir (Viracept), ritonavir (Norvir), saquinavir (Invirase), alfentanil (Alfenta), fentanyl (Sublimaze), midazolam (Versed), ondansetron (Zofran), propranolol (Inderal), and many others. For high blood pressure: 43-330 mL of pomegranate juice has been used daily for up to 18 months. 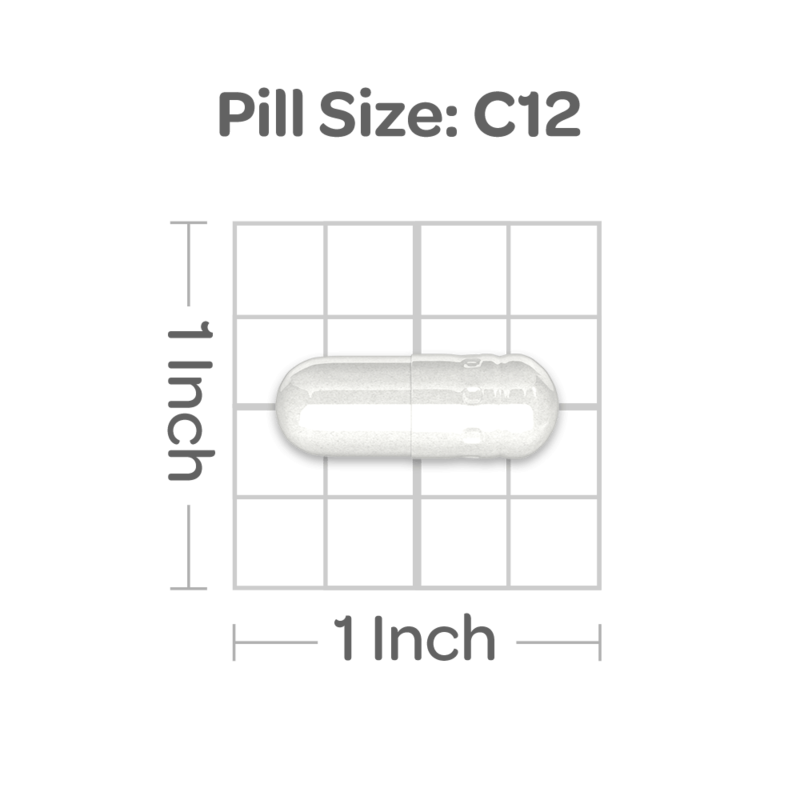 EN: For adults, take one (1) capsule two to four times daily, preferably with meals. IT: Per gli adulti, prendere una (1) capsula due o quattro volte al giorno, preferibilmente durante i pasti. Other Ingredients: Rice Flour, Gelatin. 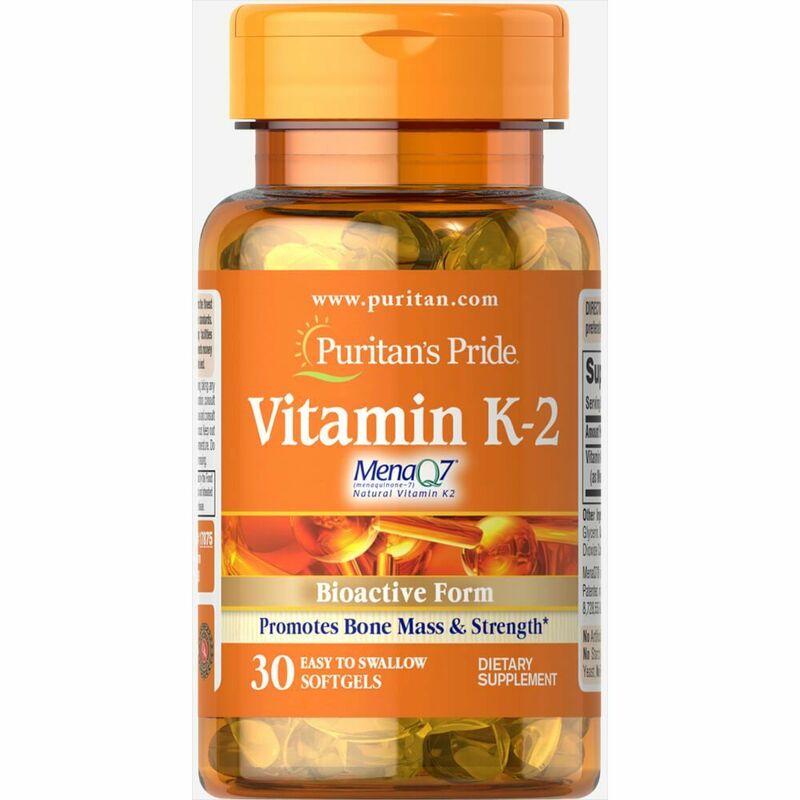 Contains <2% of: Silica, Vegetable Cellulose, Vegetable Magnesium Stearate.